If you need to feed a group, let Wedgy's Volume Discount Pricing be the answer! Great pricing on 14″ Large Pizzas! Prices not including tax. Minimum two hour notice is required to receive discount pricing. 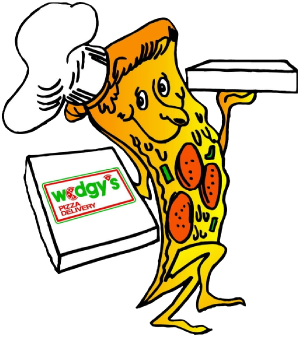 Wedgy’s can deliver your food where you want it, and when you want it! All you have to do is make the call. A $2.78 delivery fee is all that is added to the total price. Please note that although we do require a two hour minimum notice to receive discount pricing on large orders, we would appreciate as much advanced notice as possible to coordinate your order. If you are interested in setting up a charge account, download and print our Charge Account Application. Just fill out the form, and fax it back to us at 864-322-4904. Once you are approved just make sure to have an authorized employee sign for your orders, and we will bill you monthly.